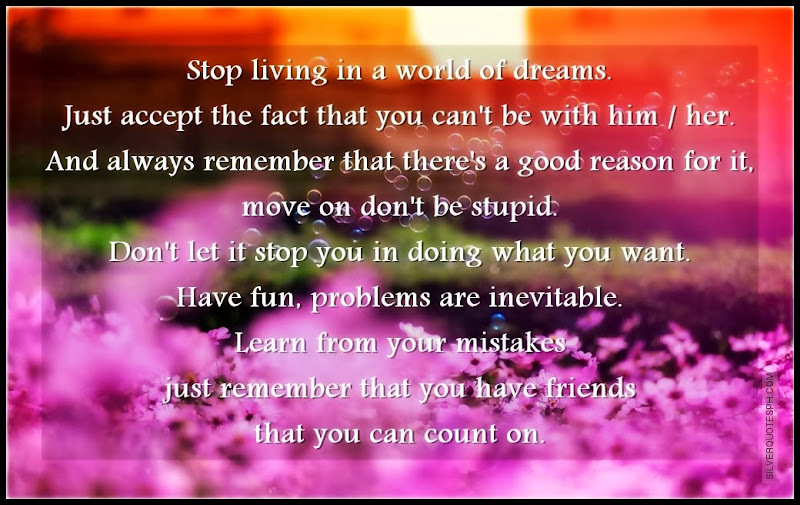 Stop living in a world of dreams. Just accept the fact that you can't be with him / her. And always remember that there's a good reason for it, move on don't be stupid. Don't let it stop you in doing what you want. Have fun, problems are inevitable. Learn from your mistakes just remember that you have friends that you can count on.